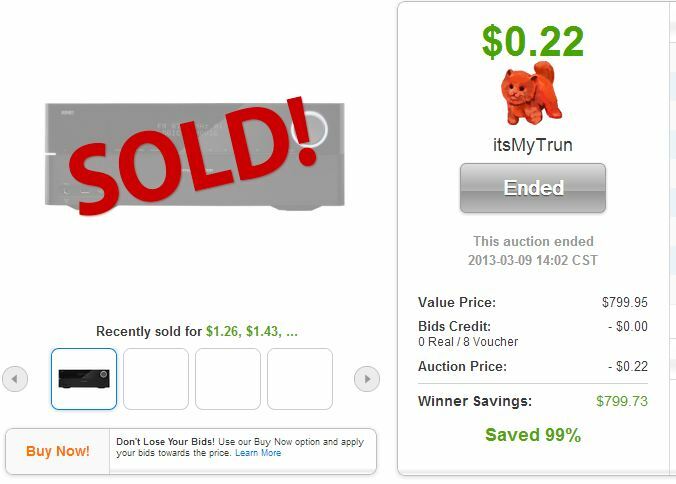 Sometimes all it takes to win a QuiBids auction is a single, well-timed bid. 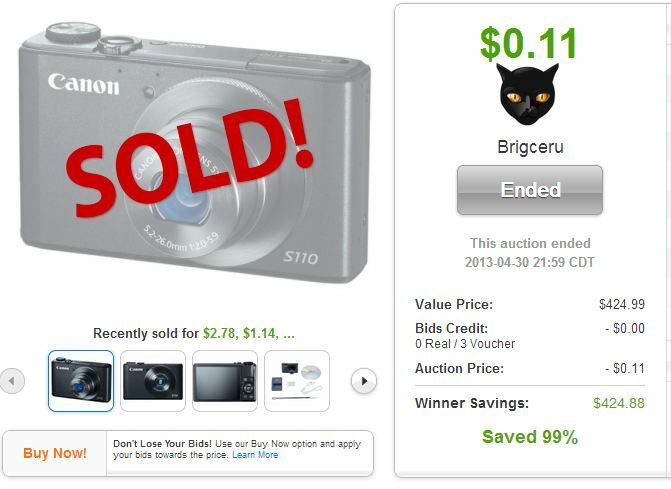 Other times it takes more bids than, sometimes as many as ten bids, even for expensive, high-end products! Here are 11 pretty amazing recent QuiBids auction wins we found that customers scored here on the site. Does your best-ever auction win compare to any of these? Tell us in the comments! 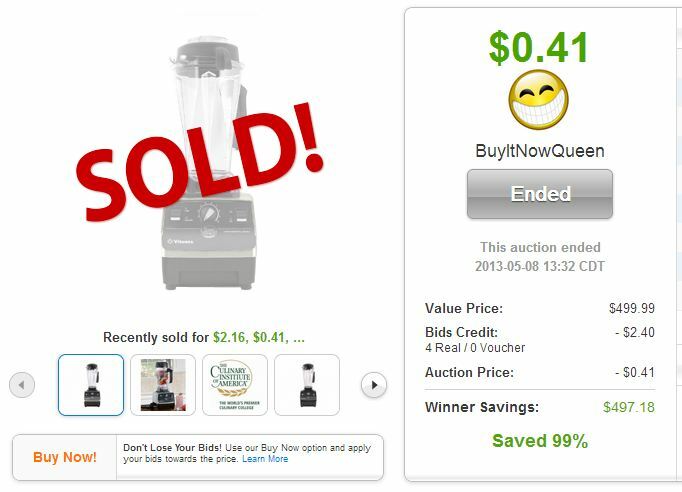 For the top-shelf smoothie maker and auction site aficionado. 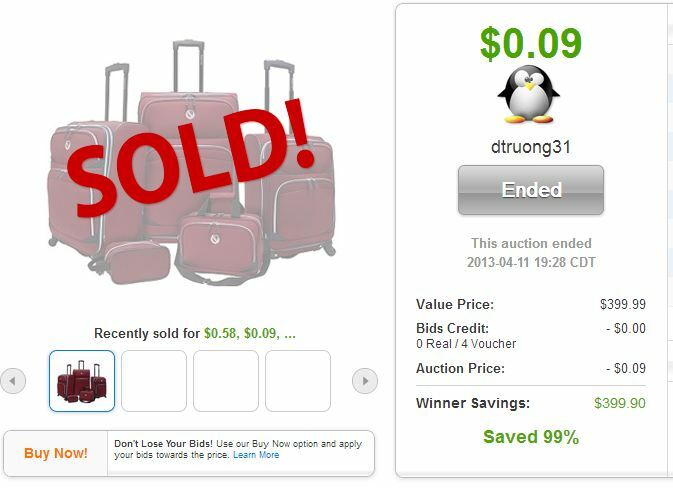 By Buy Now price, this is the most impressive auction win on this list. Only eight Voucher Bids for a nearly $800 item! It comes in white too, if you win this auction! 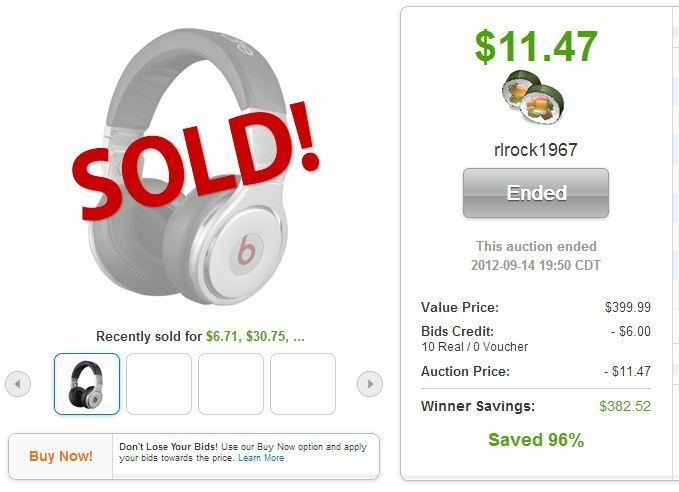 Auctions for the ever-popular Beats By Dre headphones are pretty common, but less common is to see a pair go for just 10 Real Bids! Y’know what one thing is that’ll make QuiBids auctions even more fun to bid on? A big, loud subwoofer pumping some mean jams. 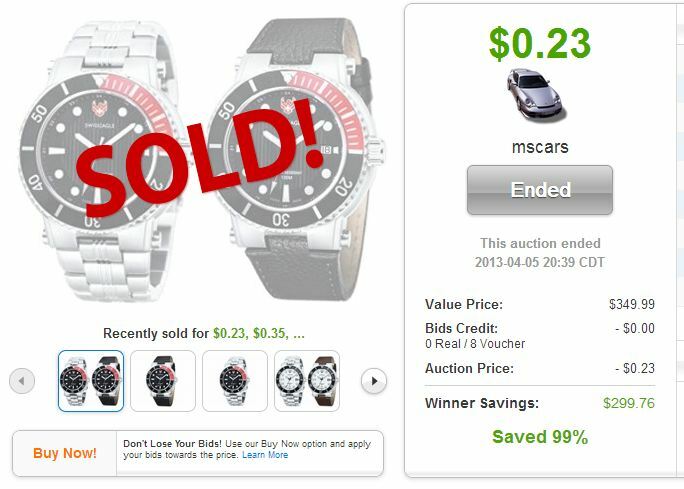 Sorry, mscars, you won’t be getting two watches with this big auction win. Just one watch and two awesome bands to go with it! 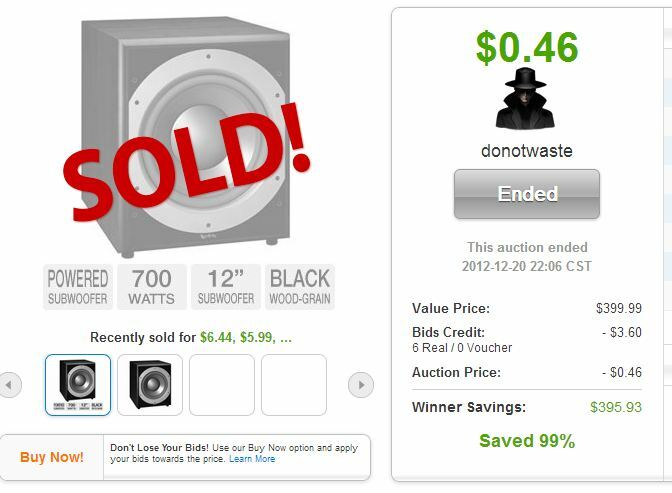 Our auction site is loaded with consumer electronics like this subwoofer but it’s not often that they only go for a few Voucher Bids. Great win! 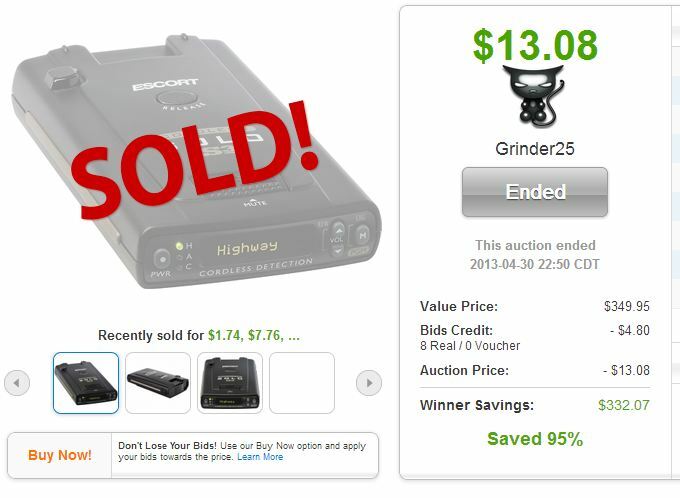 Eight Real Bids was all it took to win this QuiBids auction and now Grinder25’s got a step up on the cops! 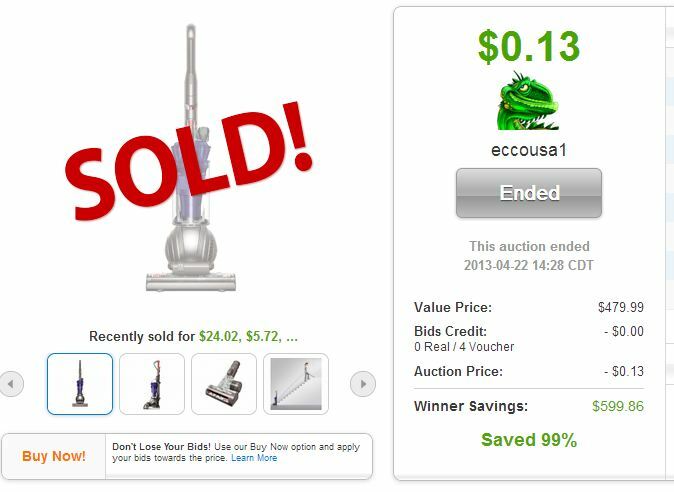 Sure you can get a cheaper vacuum elsewhere, but can you get any vacuum for just $0.13? Very nice auction win. 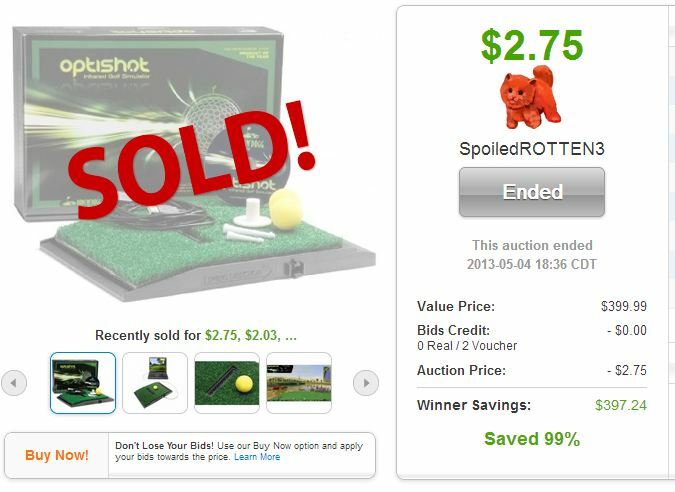 An awesome auction win, especially if you prefer your golfing without real golf balls, grass, or the outdoors. Tired of your old luggage set? They’re pretty easy wins in QuiBids auctions. 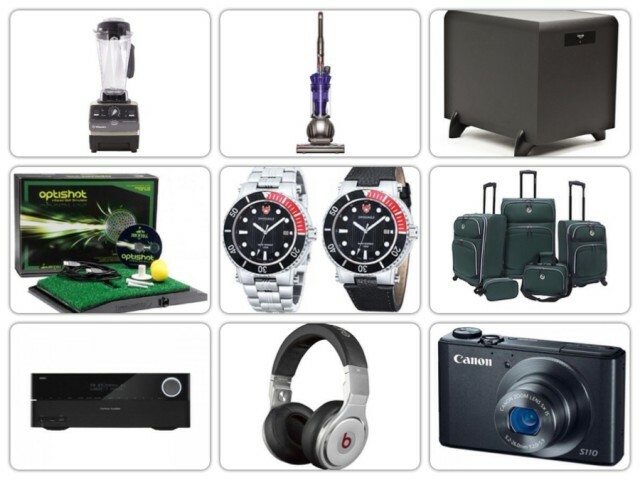 How does your best-ever auction win compare to these? Tell us in the comments! New products: Fancy totes and guitars that play notes! 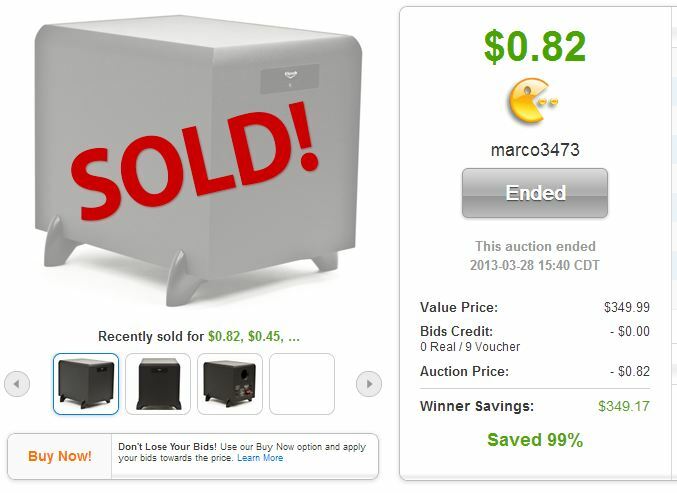 75 MORE auctions won for one bid on QuiBids! Customers love the beautiful canvas art on QuiBids!